The following info comes from a Gamesbeat interview with Michael Kelbaugh, Kensuke Tanabe and Risa Tabata. “There’s no definitive plan or anything. It’s just me off the top of my head. 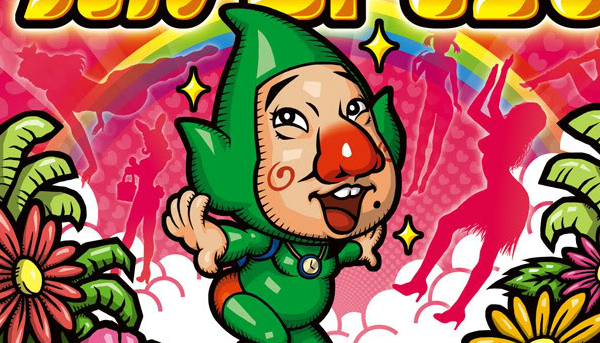 I know how hated the character of Tingle is in the U.S. I know that people cannot stand Tingle. But to me that challenge is: Could I take this character that is so reviled in the West and just [do] a complete turnaround and make him a beloved, fun character? The idea of that really just gets me going. I know we have made a Tingle game in the past, but maybe at some point down the road. Kakashi: The Search for Tingle is a fan-made game that is being developed by Zelda in my Pocket as a side-project. It is an attempt to create a larger amount of popularity —especially in America— for the Tingle series as a whole. The game itself focuses on a character named “Kakashi“, literally the Japanese word for “Scarecrow”. Kakashi was first introduced as a character in the Vanpool title Color Changing Tingle’s Love Balloon Trip. He was originally an attempt to recreate the “Brainless Scarecrow” from the Wizard of Oz series, and was on a quest to obtain intelligence. Talk about making a weird character even weirder! With that said, I'm all for this idea! I love to see fans make their own projects. I doubt NoA is going to stop this one. They seem to think most in the states don't like Tingle! Thanks to Matt for the heads up.